Although this post is long, it is better than the 20 hours of reading I had to do!Here is everything you need to know from an IT perspective about the MACRA NPRM. I just get inspired by this article. Keep rocks! Improve SEO and Download Premium WordPress Themes and Blogging Guide. I’ve got my congressman, senators and others on speed-dial–will call them today and start giving them the DOCTOR side of the story and that they MUST shut this madness down. AMA is AWOL, as usual, waiting to see which way the wind blows. I hope a change in the regime will throw out the garbage accumulating in the hallway. And make no mistake, this is pure garbage, there is no way the million+ clinicians can become unpaid data entry clerks AND attempt to cure disease and suffering in a very complex, increasingly old society. Agree. Part of the problem is that all the attempts to correct quality and value have been extremely top-down. There is not much interest in enabling patients to assess quality on their own terms — patient-centered HIT wd be necessary but not sufficient — and there should be. Nice summary, albeit sobering. So, isn’t there a third option for clinicians: opting out and going to direct pay? I must say that when I decided to opt-out four years ago, I saw it as a temporary solution while my kids were small and while I reset my career over a period of a few years. But now I’m wondering how I’ll go back…the salaried front-line docs I know are pretty unhappy. I’m not sure direct pay is scalable and sustainable either, but we have to hunker down and survive somewhere. I feel very badly for the people who are sick and really need medical care. The medical societies claim they were part of the process. Now the are acting like they have no idea what will transpire. Ouch. Even I feel bad for MACRA. 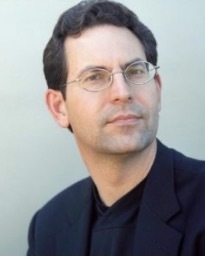 Cliff Notes from @jhalamka are, as always, friggin amazing. This man is a national treasure in re health policy.